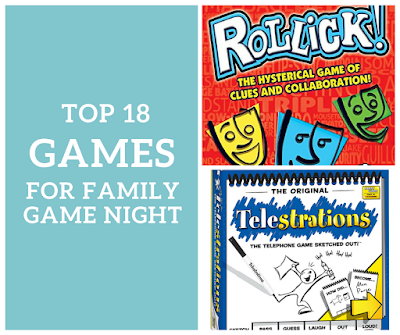 Top 18 Games for Family Game Night. The best family-friendly and kid-friendly games for families to play together. One of our favorite traditions as a family is to play games together each Sunday. We all have a lot of fun! Beyond the fun and the family bonding, which are worth it all by themselves to me, we are able to teach life lessons like sportsmanship, turn-taking, and graciousness in winning and losing. 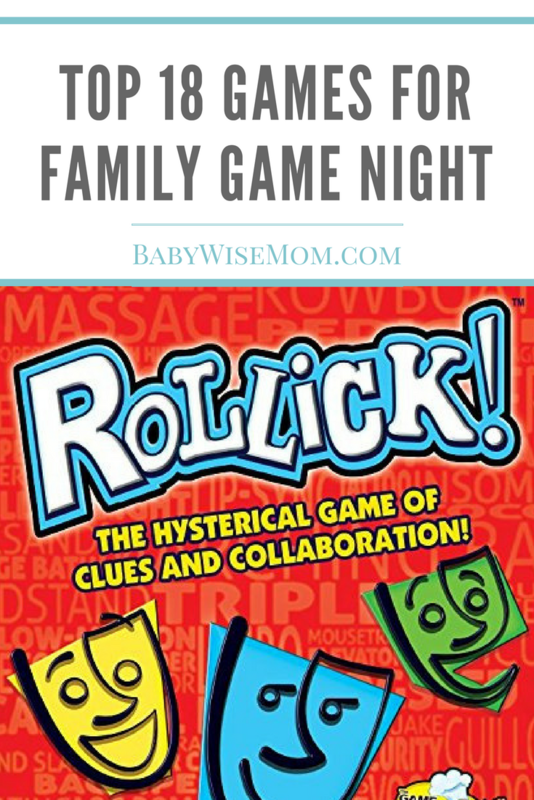 These are our favorite games that work well with a family with a varied span of ages. These games work from our youngest on up through the parents. We all enjoy them. I have shared in the past about some great board games. 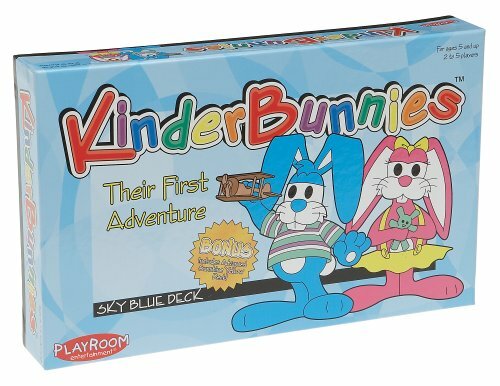 These are great games for younger children. If you have all really young children, that is a great list for you to consult on what is worth adding to your family game closet. This list can keep the whole family happy. This post contains affiliate links. This is probably our current overall favorite. It is basically charades, but instead of one actor and the rest guessers, it is all actors and one guesser per team. You can use props that are in the room. We have so much fun with this game. This game works so well with a family of ages because the youngest can join in the actors and feel like he/she is contributing. This is the game Kaitlyn often chooses when it is her turn to pick. This game is basically the Telephone game, except you draw pictures. We always spend a fair amount of time laughing as we play this game. It is obviously appealing to the artistic type, but I am not artistic and still have a blast with the game. It is also a great way to instill what happens to information as it gets passed from person to person. The way Brinley plays is she chooses a word to draw first, then as she gets the books passed to her, I either read the word she is supposed to draw to her, or ask her to guess what the picture is and write the word for her. When she was younger, she would be content to just draw with markers while we played. This is from the maker of Killer Bunnies. I do not see it on Amazon anymore, but if you ever come across it in a game store or on the classifieds, I highly recommend it! We have a lot of fun with this game. It is so random. It makes it a great game for people like Brayden and me to learn to loosen up and accept crazy things happening. It is also so random on who wins that the last time we played, Brinley won and she played all by herself. This is a great game for a family. The pieces are shapes, so it can be easily played by young players. There is enough strategy to it that it keeps older players engaged, but not so much that younger players can’t be part of the game. This is another one with enough random nature to it to keep the people who have a hard time with spontaneity looser. This is the fun of UNO, except when you have to draw a card, you might get zero and you might get more than ten. You never know. It keeps things quite interesting and keeps the family laughing. The great thing is younger kids usually want the cards to come flying out, so they are happy when the cards come their way. This is a great game when you want to laugh and want total randomness to the outcome of the game. This is another game that is hard to find. You can find it on Amazon, but I think for too much money. Creationary is just looking at a card and building out of LEGOs what was on the card–so like pictionary but instead of drawing, you build. This is obviously very fun for LEGO lovers. You can easily do this game at home with your LEGOs and just writing some words on some slips of paper before you start. Yahtzee is a classic by now. It is easy enough to have children play, and you can help any child who needs it on their turn. If you want it geared more toward younger players, they do have Yahtzee Jr. games. They have different themes: Star Wars, Toy Story, Mickey Mouse, princess… You can find something fun for your family and still have fun playing. We have the Toy Story Jr. version, and it was one we enjoyed when the kids were younger. We enjoyed it more than the endless rounds of Candy Land. Sorry was my favorite game when I was a child and teenager. It is simple and fun and it teaches children to be good sports in an intense environment. Trouble is very similar to Sorry overall. In Sorry, you have more options on who you can damage with different cards to send back to home, where in trouble you have limited options. Trouble also doesn’t involve any reading, so Trouble can be better for younger players. Life isn’t and hasn’t ever been a game I love, but my kids all like it so it makes it into the rotation. Something I don’t like about this game is you start by deciding between college or no college, but it seldom benefits you to do college. That bothers me. That is just my soapbox on the game. Ha! I just make sure they understand that sometimes in life, you might be able to get a job without getting education beyond high school and make good money (my dad didn’t go to college…though he did go to trade school). This is my favorite! This is a game that allows me to put what is in my head at all times into effect to win this game every time. You have a word and have to come up with a song to go with the word. This is every moment in my head. Someone says a sentence, and a song pops in my head. This game is harder for younger players because they don’t know as many songs, but I had to add it because it is my fave. I often choose this game when it is my turn, but no one else usually does because I am the champion. My friends. We really enjoy this game, and our favorite is probably the Europe edition. This is a game Brinley doesn’t actually play with us. She sits and plays with the trains, playing something in her imagination. She is happy to be there with us and doesn’t mind. I don’t think all children would be content with this setup, so if not, Ticket to Ride might not be a good family game for you. It is, however, a fun game without kids, and can be played with two players. So it is a fun idea even if just for you and your spouse on date night. This is another one of our major favorites. You have a judge. Then you draw the question. “What would make car rides more fun?” All players other than the judge write down an answer. Then you flip them over and choose which answer you think the judge will choose. The judge chooses the favorite. This is fun and gets kids thinking about appealing to an audience. For the question above, my husband would say something like, “If you are on your way to Disneyland” for a few of the kids. We had a spurt where he threw Disneyland into every answer (insert eye-roll emoji here). And it worked. This is a new game in our collection. My sister-in-law mentioned the game and that they liked it, so we got it for them for Christmas, with some hesitation. We played it at the Christmas party and it was a lot of fun! There is a little strategy, but you can easily coach your children through the strategy each time. There is also a lot of dumb luck. This one is not the best for a full family, but it is fun for children and parents to play together, so I wanted to bring it to your attention. It is a strategy game, like Settlers of Catan and those types of games, but made for preteens and young teens. Brayden and Kaitlyn have played it since 8 and 10, so you can definitely try it with younger kids than the recommended 10-14 years. It is a great stepping stone game for kids interested in strategy games. My favorite type of games to play by far are the strategy games, but if you know me well, you know I love variety in life. I can’t eat the same meal in a 30 day period. I can’t do my girls’ hair the same way twice in a week. I just need variety, and games are no different. Spot It! is a great game that is fast paced. It is a lot of fun and doesn’t require strategy, just a keen eye and speed. They have Spot It JR games, but the original is easy enough a young child can participate, so I would try buying the original first. If it totally frustrated your child, go for a JR and put the original on the shelf for a few years. You won’t be sorry you own the original, and you might not need to own a JR, so this can possibly save you money. This is a new game in our house. The description doesn’t accurately explain the fun of this game, but the 5 star rating with 118 reviews should give you a hint. I had this on a wish list for a couple of years before finally buying it, and we have enjoyed it! It is a great introduction to strategy for young players–simple and yet fun. Do you have any favorites that didn’t make this list? I would love to hear about them! We love games, and I love variety, so I would love to hear your recommendations. Next Post Should You Bail Your Child Out?